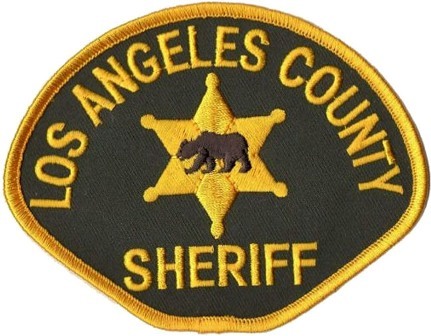 The Los Angeles County District Attorney’s Office has begun a comprehensive review of past criminal cases that involved deputies placed on a secret sheriff's department list of officers whose histories of misconduct could undermine their credibility in court, it was reported last Friday. District Attorney Jackie Lacey said she ordered the examination in response to a Los Angeles Times investigation that identified 24 deputies on an older version of the confidential list, including many who were disciplined or convicted of crimes, The Times reported on its website. Prosecutors, she said, are combing through cases in which those deputies might have testified and are trying to determine whether defendants should have been notified about the misconduct. The deputies have been identified as potential witnesses in more than 4,400 felony criminal cases since 2000, according to a Times analysis of district attorney records, though it is unclear how often they testified or how significant a role they played in those cases. Lacey said she could not recall a similarly large undertaking by her office since the Rampart scandal of the late 1990s, when accusations of perjury, evidence-tampering and other serious misconduct against dozens of LAPD officers led prosecutors to undo the convictions of more than 100 defendants. “These are things prosecutors need to know to make sure that justice is done,” she said of the deputy misconduct detailed by The Times. Lacey said she feels it is her office’s obligation to review cases in which the deputies testified. Most of the deputies are still on the force. California is among 22 states that keep officer discipline from the public, but it is the only one that blocks prosecutors from seeing entire police personnel files. The review by prosecutors could result in convictions being overturned, Laurie Levenson, a former federal prosecutor who now is a professor at Loyola Law School in Los Angeles, told The Times.